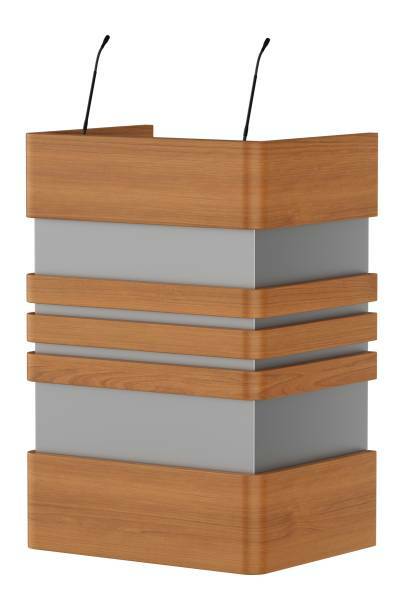 Modern lectern in stainless steel look with wood. Can also be done in fully wood look. 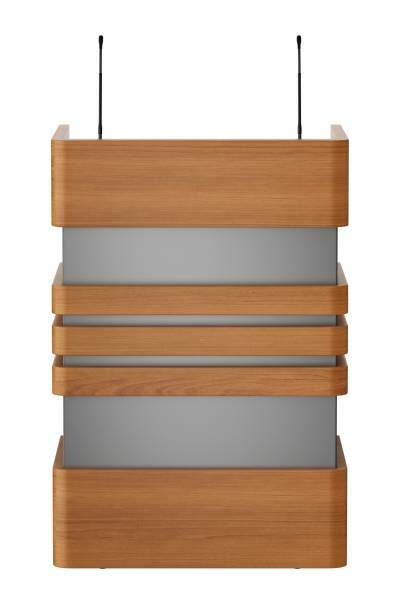 Available as maitre d station hospitality furniture. The reading desk is removable. 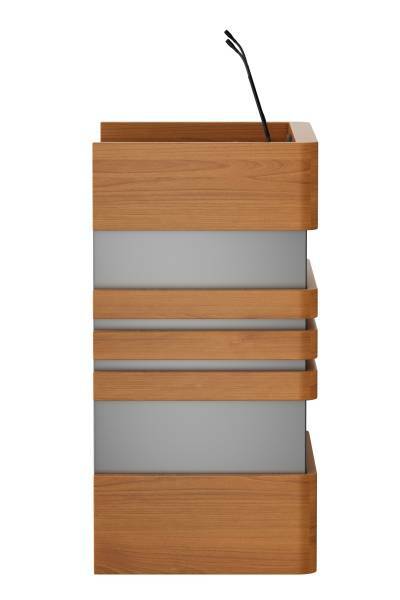 This allows you more space for placing a laptop or iPad on the lectern. 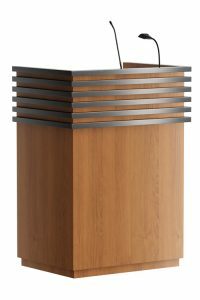 When you select the option Cable Manager it is possible to connect your laptop to your device via cabling which goes through the lectern. 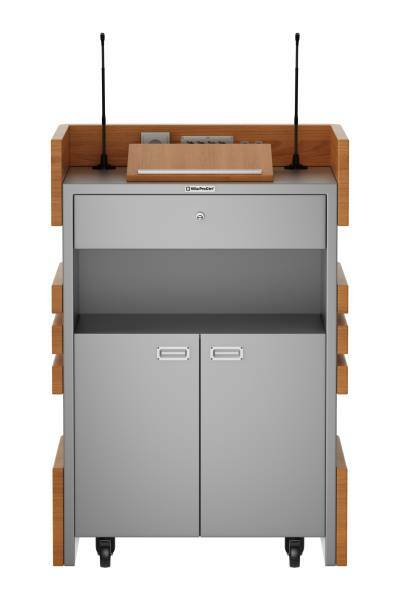 Also useful are the lockable drawer and doors. 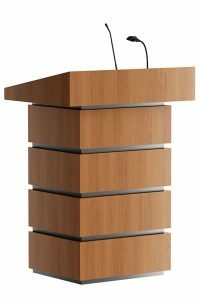 The lectern is ideal as maitre d station. You can choose between 1 or 2 microphone(s). The staff of Villa ProCtrl will gladly advise you in choosing the right lectern. 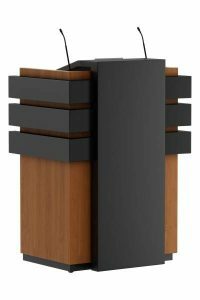 Also popular is our lectern model Barracuda.